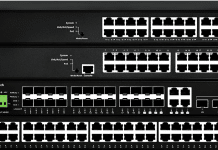 Rubytech Corp., the leading and innovative fiber optic networking manufacturer based in Taiwan, today unveils industrial carrier Ethernet gigabit L2 managed switch IGS-2510. With DC input and -40 to +75 deg. C working temperature support, IGS-2510 equips 8-Port 10/100/1000Mbps TP and 2-Port 100M/1G/2.5G SFP interface. 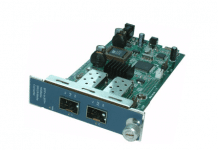 It provides the ideal combination of affordability and capabilities for Carrier Access networking includes IEEE802.3ah MAC Layer OAM, IEEE802.1ag Ethernet CFM, ITU-T Y.1731 Ethernet OAM Performance Monitoring, ITU-T G.8031 Ethernet Linear Protection, ITU-T G.8032v2 Ethernet Ring Protection Switching, Sync-Ethernet(by request) and IEEE1588v2 PTP for Carrier Ethernet management requirement. 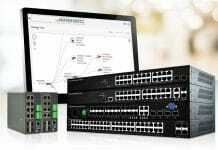 It is suitable for Carrier Ethernet applications and helps you create a more efficient, better-connected workforce. 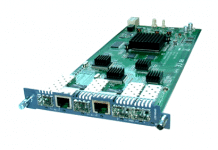 This switch can be managed through RS-232 serial port, or through Ethernet port using CLI or Web-based management. With the SNMP agent, the network administrator can manage the switch, configure and control in a friendly way. FGS-2528KX and GS-2510, IGS-2510 provides carriers the right choice when industrial and severe environments are being encountered.